From a leisurely music festival to an ultramarathon (and plenty of options in between), here are a dozen events happening on or near The Great Trail! 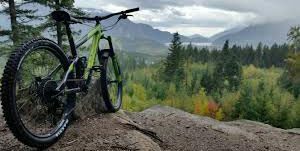 Join International Mountain Biking Association Canada in Fundy National Park as they unveil the park's new Ride Centre, and host IMBA Canada Trail Partners Programming. 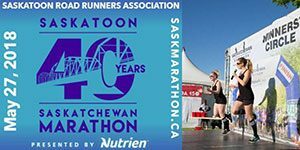 The Saskatchewan Marathon is renowned in the running community as “fast, flat and fabulous” — mainly because it takes place along the smartly-designed Meewasin Trail. Stop by the Finish Line Village, where you can try your hand at goat yoga. 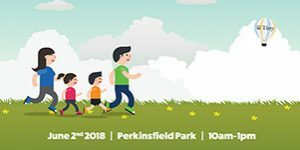 Community members and visitors are invited to a three-kilometre “trot” in the spirit of healthy living. The route follows a short section of The Great Trail — aptly named the Tiny Trail — along a former CN railway line that’s been transformed into a footpath. 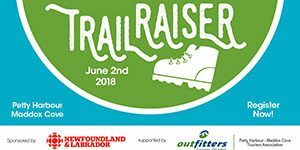 Experience the raw natural beauty of the East Coast Trail and the historic Town of Petty Harbour-Maddox Cove, and help raise funds to maintain and protect the East Coast Trail. Fantastic fundraising prizes available! 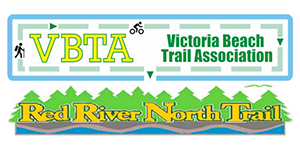 Join Red River North Trails Association (RRNTA) in Victoria Beach for some exercise, fresh air and fun on International Trails Day. A cycle and walk will be held, and attendees will have a chance to fuel up with a hearty breakfast at the local community centre. 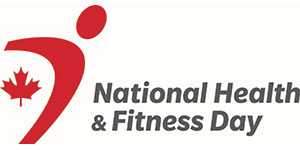 TCT Champion and Olympic icon Nancy Greene Raine will join athletes in Halifax for early morning activities to celebrate National Health and Fitness Day. Early risers can enjoy a five-km run or a three-km walk, taking in the stunning views of Halifax Waterfront. 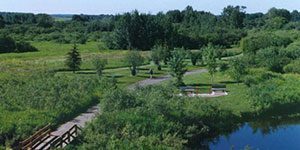 The Town of Ponoka will host its 2nd Annual Trail Awareness Day. 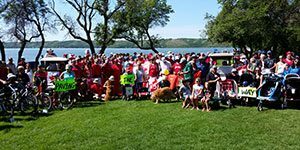 The event will be a fun, family-focused day that will include geocaching, treasure hunts, refreshments and more. 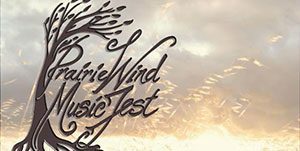 The Prairie Wind Music Festival is a three-day celebration of music and community. In its seventh year, the June festival offers a selection of bluegrass, country, rock and jazz. Onsite camping is available! 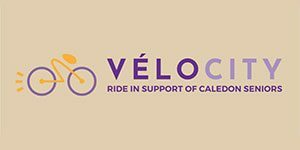 From humble beginnings over 10 years ago, this annual event has grown to become “the weekend to be in Caledon.” Ride your bicycle in support of senior citizens — or simply sample the local craft beer and listen to live music. Lace up your runners, grab the kids and join your friends and neighbours for a stroll along Katepwa’s section of The Great Trail. Funds raised will go toward paving the Trail! 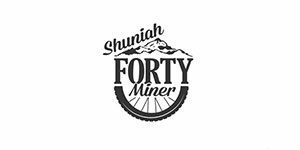 The Blacksheep Mountain Bike Club will host its second annual marathon event, the Shuniah Forty Miner. For those unfamiliar with the XC marathon format, the name of the game is seeing if you can outlast the course. 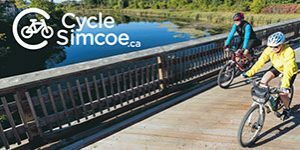 The Simcoe County Loop Trail is a 160-kilometre route that travels through nine municipalities and reaches three major bodies of water. 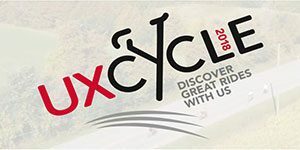 Each year an event is organized where cyclists do the loop in a single day! Long known for its extensive trail infrastructure, the Uxbridge area is also home to some of the best road-riding in Ontario. Festivities include a family-friendly environment, great music and local food!